We don’t want it to seem like we’re cheating on all the other incredible destinations we sail to, but we really love sailing the Mediterranean. It’s the dolce vita. It’s the joie de vivre. No matter how you say it, it’s a region that’s best experienced by sea. It’s easy to fall in love with the Mediterranean, and it starts from the ground up. Literally. It’s in every detail of the cobblestone alleyways, elegant esplanades, cliff-side footpaths, waterfront promenades, and roads made of marble. Whether you walk, bike, or drive, you’ll find that rich history, welcoming locals, and delicious cuisine are only ever a stone’s throw away. But beyond stone surfaces, there’s so much more to the Med — and our curated shore excursions reveal it all, taking the concept of ‘cruise and stay’ to a completely new level. Get a more intimate look at local life when you make a meal at a home in Mykonos, get more steps in as you uncover the secrets of Venice, and get more music with an evening orchestra performance in an ancient amphitheatre. Azamara Club Cruises’ Mediterranean cruise holidays will allow you to go so much deeper into the heart of this beautiful region than the packages offered by any other line. From the ancient mystique of the Greek islands to the unrivalled culinary credentials of the French Riviera and the stunning coastline of the Canary Islands, every Eastern and Western Mediterranean destination you visit with us will reveal itself to have more to give than many traditional ‘sun, sea and sand’ holiday experiences may have led you to believe. 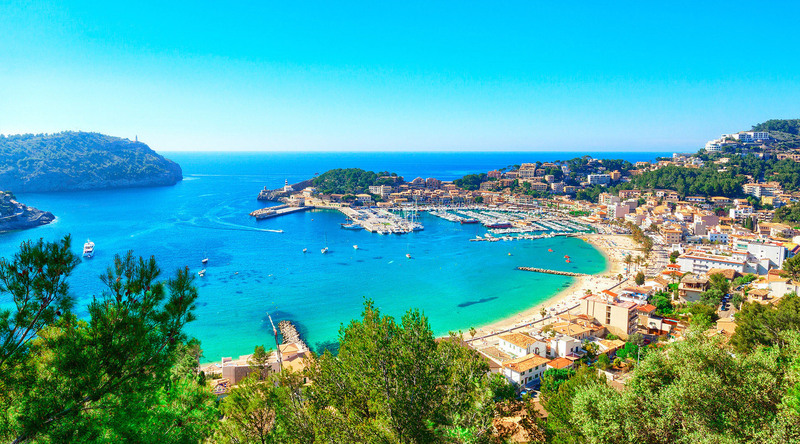 With a number of Azamara cruises from Southampton (as well as fly cruises) setting sail for the Mediterranean throughout the year, discovering the delights of this most picturesque of locations is perhaps the most convenient way possible of finding paradise. And whether you will be taking advantage of one of our exceptional value late cruise deals or have been planning your perfect trip for months, our meticulously crafted luxury cruises ensure that every port of call you visit will be memorable and unique in equal measure. Trust us on this: even if you’ve been before, you’ll find something new to love about the Mediterranean when you sail it with Azamara Club Cruises®. Get a taste of the world's most incredible destinations with our immersive videos. While the video is playing, click and drag within the window to view destinations and onboard attractions in 360 degrees. From the world's oldest civilisations, to legendary lands of glitz and glamour, the Mediterranean is a treasure trove for the senses. Discover the many sights, sounds, and tastes of this spectacular region with Azamara. Explore Europe aboard the Venice Simplon-Orient-Express. Climb aboard a traditional wooden boat called a “pletna” and venture across the waters of Lake Bled to reach Slovenia’s famously mysterious island.